A visitor enters So Heng Tai mansion. 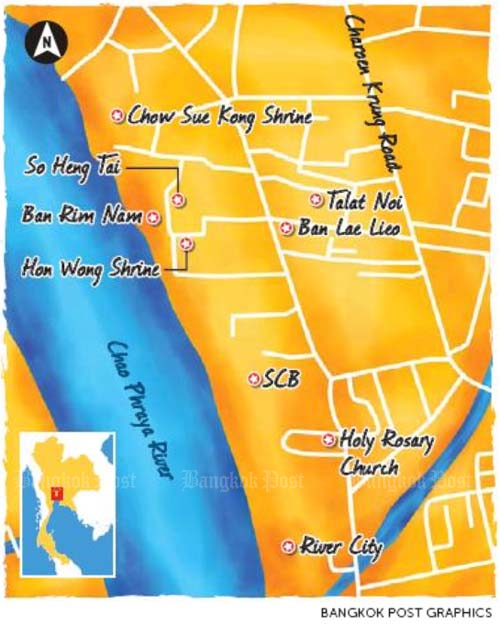 Sitting on the eastern bank of the Chao Phraya River, the old Chinese community of Talat Noi in Samphanthawong district dates back to the early Rattanakosin period. For years, the community was overshadowed by the more famous Yaowarat, Bangkok's Chinatown. But more recently, tourists have started exploring more of Bangkok to find destinations a little bit off the beaten path. The Lady of the Rosary, dating back to the Ayutthaya period. "It started when an academic group visited our community five years ago. They saw the potential. We have many cultural and historical sites that should be preserved and promoted to tourists," said Rungchan Chalermviriya, a local guide. Born in the community, she wanted to see her neighbourhood develop. She got together with other locals to found Chumchon Khon Rak Talat Noi, or People Who Love Talat Noi, as a civic group to promote community tourism. 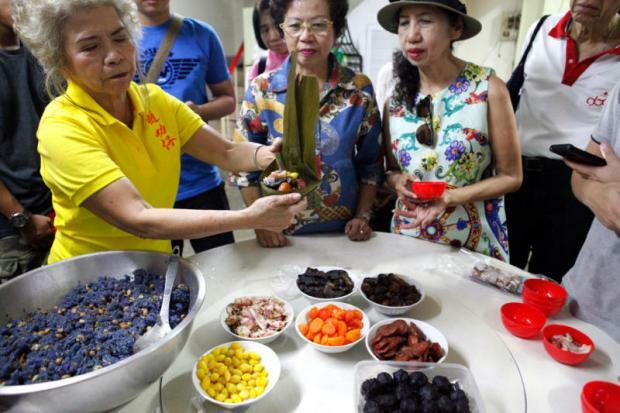 They later received support from the Bangkok Tourism Division and the Tourism Authority of Thailand to promote Talat Noi as a hidden gem in the city. They organised tours to bring in visitors. Year on year, more tourists started to arrive. "Today [Talat Noi] is known as an authentic Chinese community. 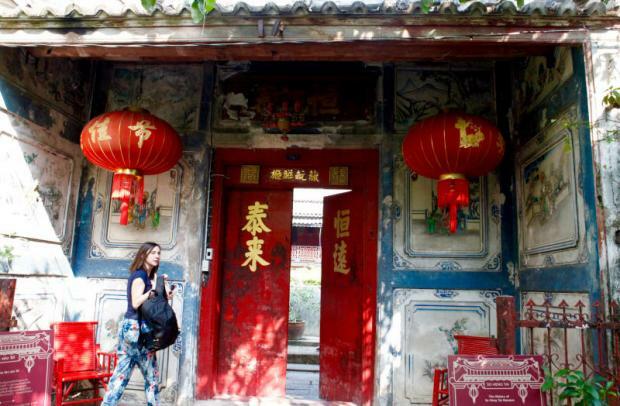 Tourists love to come and explore our century-old houses and shrines. 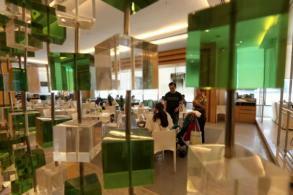 They also love our food and way of life," Rungchan said. The best place to start exploring Talat Noi is Soi Wanit 2, a small alley next to River City Shopping Mall. Down the soi is Kulab Witthaya school, which shares the same gate as the Holy Rosary church. The church, with its towering spire topped with a crucifix, was originally built by Portuguese traders in 1786. It is known in Thai as Wat Kalawa, from the Portuguese calvario (calvary). 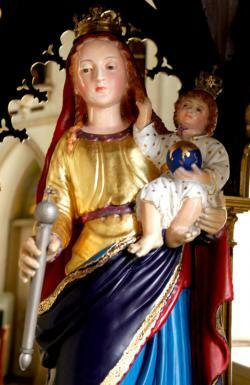 "The Portuguese brought with them two holy images from their old church after the fall of the Ayutthaya Kingdom. One is the Lady of the Rosary and the other is the Corpse of Christ," said Rungchan. Both items have been on display inside the church for more than two centuries. The entrance to the first branch of Siam Commercial Bank. A short walk from the church is the first bank of Siam. 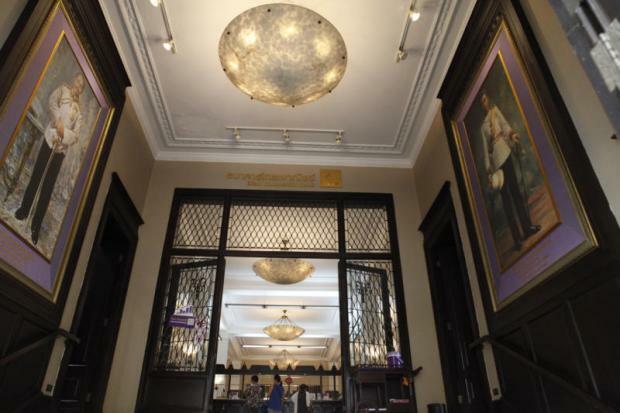 Siam Commercial Bank's Talat Noi branch is a popular tourist stop as its original Beaux-arts and Neoclassical architecture has been preserved since it was first built in 1908. Inside, the bank counters are still set behind bars, just as they were over a century ago. Even if you are not a customer, it's worth a visit to admire the bank's elegant beauty. "Before the first Thai banks, many Chinese businessmen offered money exchange services along Wanit Road. The area used to be the first port in Bangkok where Chinese immigrants landed. They worked and lived around the port, and sent money back to China," Rungchan said. With Talat Noi being a hub of logistics and transportation, it made sense as the location for the first bank. The three-storey building was designed by Italian architects Annibale Rigotti and Mario Tamagno, who also worked on the magnificent Ananta Samakhom Throne Hall. The bank won the Architectural Conservation Award of the Association of Siamese Architects in 1982. Within a short walk is a small alley called Trok Sanchao Rong Kueak. Opposite the entrance of the alley is a century-old, two-storey house called Ban Lae Lieo, sometimes used for holding art exhibitions, like the recent Bangkok Design Week. Further along is a tiny lane leading to Talat Noi fresh market. Although it's a morning market, you can still find some food if you visit in the afternoon. One of the best-known shops is Bachang Jae Wacharee, a shophouse that has made bachang (steamed sticky rice with pork, Chinese sweet sausage, peanuts, dry shrimps and salted yolk) for more than three decades. You can also find fresh fruit and cooked food at the market. If you decide to skip the market, further down Trok Sanchao Rong Kueak, you'll find an old Hakka shrine called Sanchao Hon Wong. The shrine houses the statute of Emperor Gaozu, the founder and first emperor of the Han dynasty, which was the second imperial dynasty of China (206 BC-220 AD). The statute of the emperor was brought to Siam by Hakka people who settled in the area during the reign of King Rama I. It was one of six Hakka shrines in Bangkok. 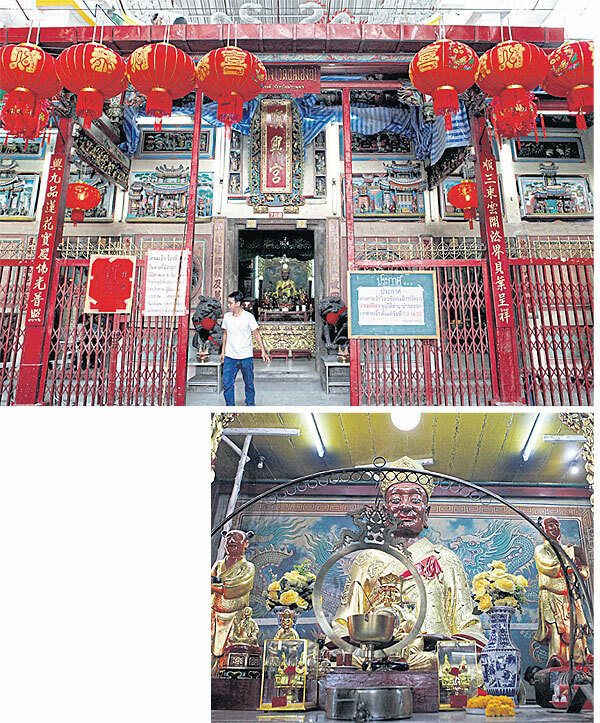 Nowadays, worshippers are not limited to Hakka descendants. The shrine is famous for granting good fortune, and is especially popular during Chinese New Year. 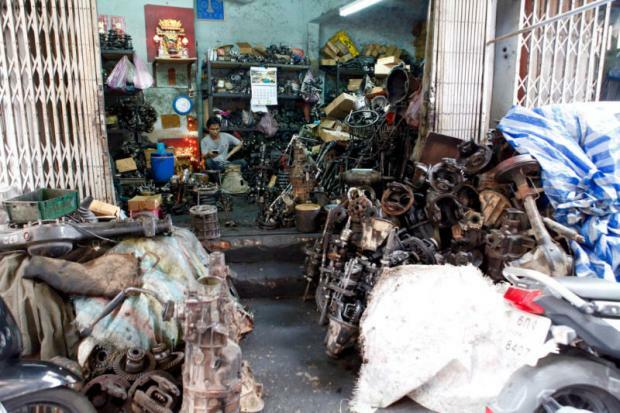 Talat Noi is the birthplace of Xiang Kong, the business of selling second-hand automobile parts. Further along, we get to Ban Rim Nam, a coffee shop with an art gallery. 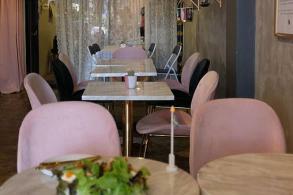 It has outdoor tables to sit and relax while enjoying the views of the Chao Phraya River. The property also has a small garden for growing organic vegetables and herbs. A short walk from Ban Rim Nam is the 230-year-old So Heng Tai Mansion. The So family can trace its roots back to Phra Aphai Wanit (Jat), who was a governor of Sichuan province in China before settling in Siam. 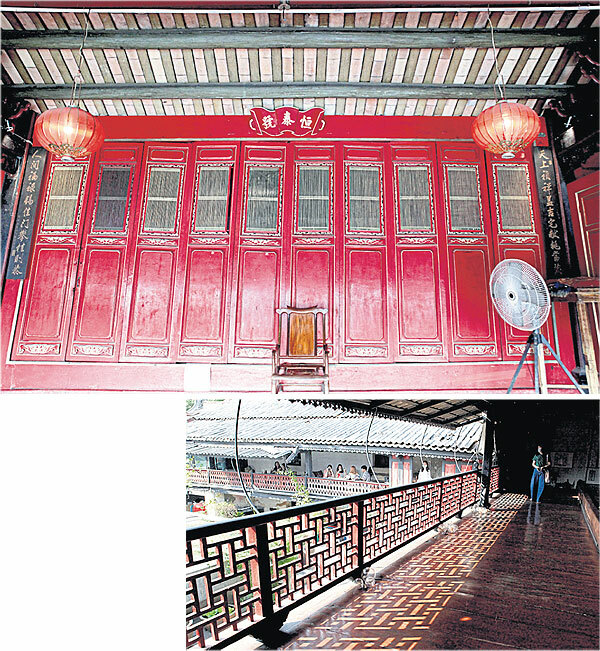 The two Chinese lanterns, called Teng Lung, on display at the front gate, represent his governorship, according to present owner Duangtawan Posayachinda, a seventh-generation family member. Today, So Heng Tai mansion is, remarkably, a scuba diving school, as well as a coffee shop where Duangtawan serves her signature sakhu sai mu (steamed tapioca balls with a mixed stuffing of minced pork stir-fried with chopped sweet pickled radish, ground peanuts, coconut sugar, shallots and coriander root). Every visitor who wants to see the old Chinese architecture beyond the red wooden gate is required to order at least one drink. 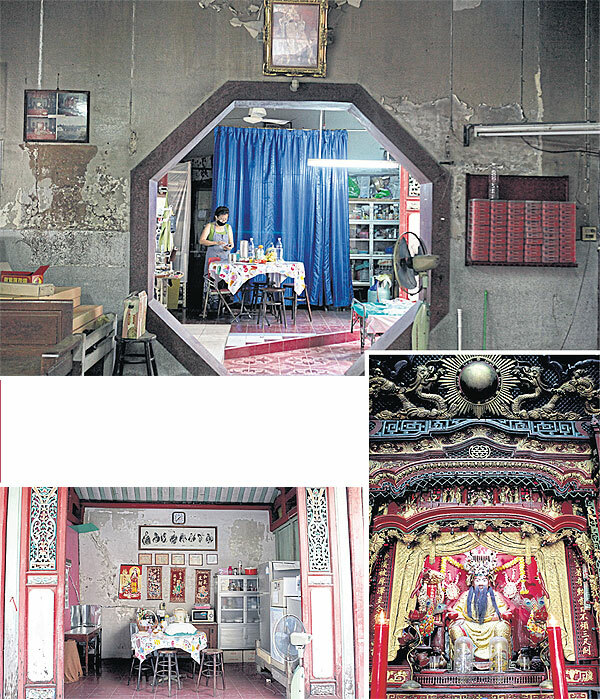 From So Heng Tai house, there is a narrow lane leading to Sanchao Chow Sue Kong, a Hokkien shrine built in 1804. Along the way, you'll see an abandoned vintage Fiat 500 car standing not far from a big tree with colourful stripes. You should also check out the street art on the way to the shrine. "Sanchao Chow Sue Kong is one of the earliest shrines in Talat Noi," said Wimol Luangaroon, another local guide. The shrine houses a large statue of doctor Chow Sue Kong. The story goes that he used herbal medicines on himself before curing others. However, some of the herbs were poisonous and turned his body black. "We pray for good health at the shrine," Wimol said, adding that this year on Feb 19 (also Makha Bucha Day) will be the Yuen Xiao ceremony, where locals offer Chinese buns made in the shape of a turtle to the deity. 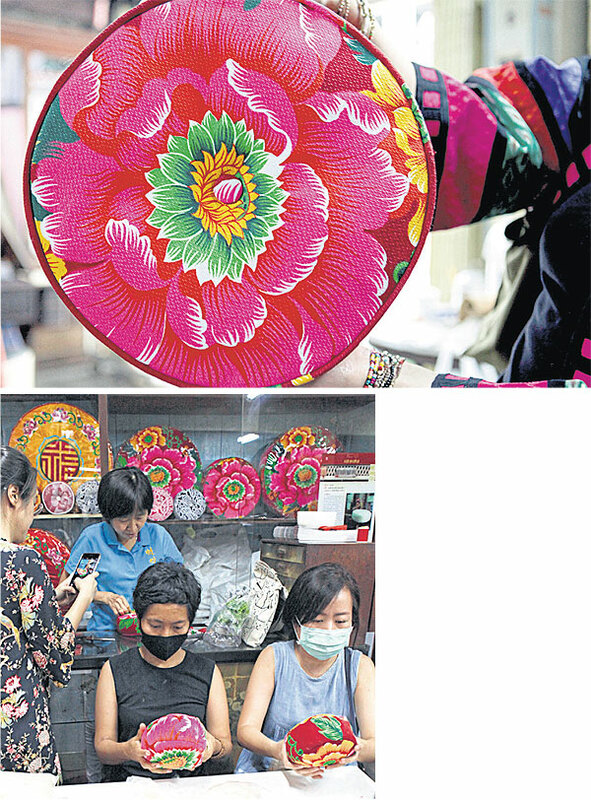 The buns have four Chinese symbols on the turtle shell, symbolising good health and prosperity. "Our community has many historical sites that we want people to see. We can also arrange workshops for visitors to learn about our way of life. Although Talat Noi is small, it's packed with activities and attractions which you can't finish in one day," Wimol said. The statue of Emperor Gaozu in Hon Wong shrine is also known as Sanchao Rong Kueak, as the area was once a popular place for making horseshoes. This year, to help the fight against toxic smog, the shrine introduced a policy not to sell or light incense sticks during Chinese New Year. Located on the banks of the Chao Phraya River, Chow Sue Kong Shrine is a sacred site for Hokkien people. So Heng Tai mansion features a series of square-shaped golden teakwood dwellings with old-style Chinese roofs. Wimol Luangaroon, in the blue T-shirt, holds a workshop teaching visitors how to make small prayer cushions. Wimol is a third-generation kneeler-maker. Her family have been making prayer cushions for more than a century. These handmade products feature a pink peony flower design. 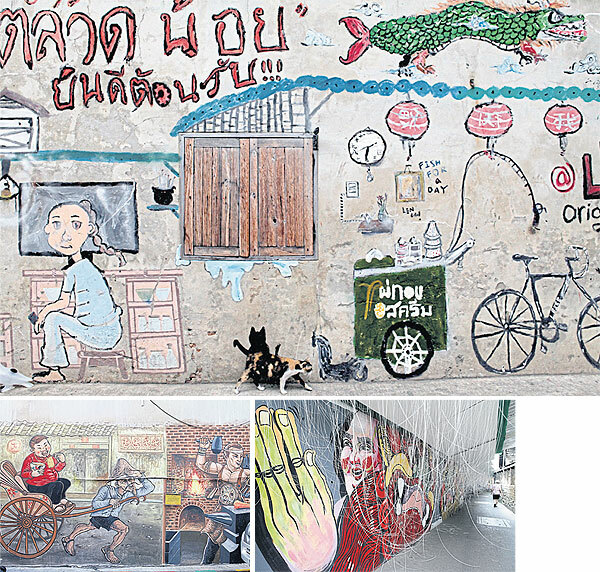 Street art on the walls of various shophouses in Talat Noi. Somsri, left, is one of the volunteers of Chumchon Khon Rak Talat Noi. The group arranges various workshops, including this one on how to make traditional Chinese bachang. They teach gimmicks like cooking glutinous rice in water boiled with butterfly pea flowers. As a result the sticky rice is purple instead of the standard white colour. Talat Noi can be accessed via Soi Wanit 2, a short walk from Si Phraya Pier. For workshops or tour guides, contact representatives of Chumchon Khon Rak Talat Noi group, Rungchan Chalermviriya at 094-998-8250 and Wimol Luangaroon at 085-909-7147. An interactive map of Talat Noi is available at walk.in.th/en.